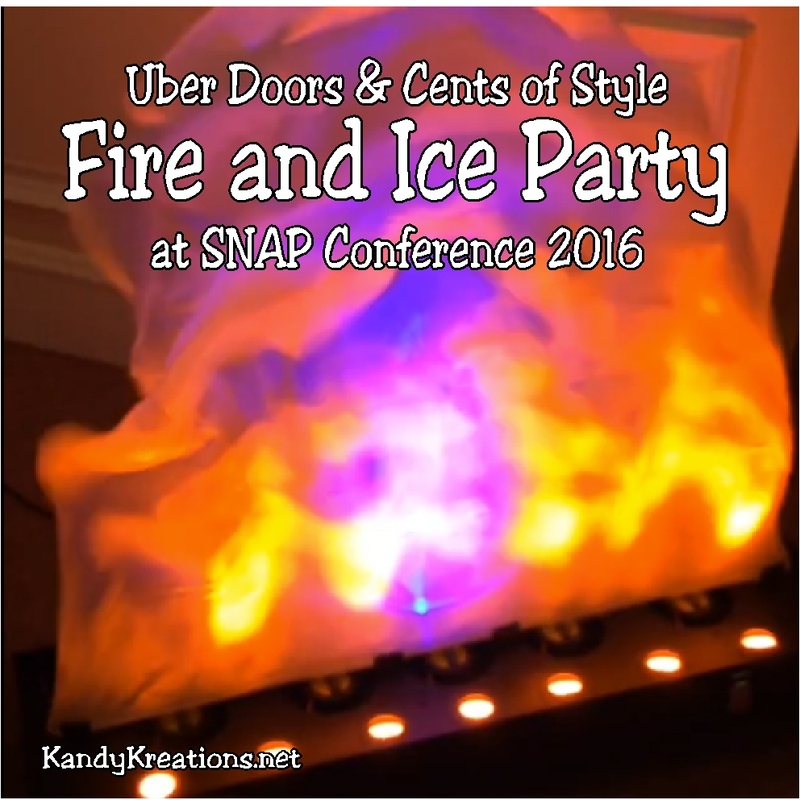 Enjoy the Fire and Ice at this party styled by Cents of Style and Uber Doors from the SNAP blogging conference. 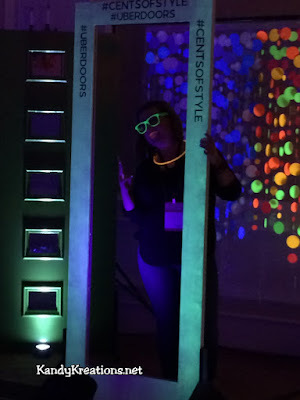 It was my favorite party with tons of glow fun, music, and amazing decorations. This is the last party from the SNAP blogging conference and I will be honest, I think I've saved the best for last. I love the idea for this party and the execution was super fun to attend and to execute. 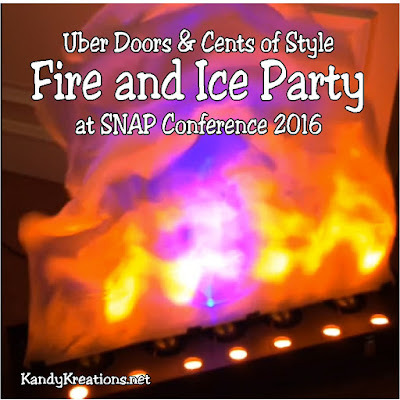 The theme of the party was Fire and Ice and the party was sponsored by Cents of Style and Uber Doors. 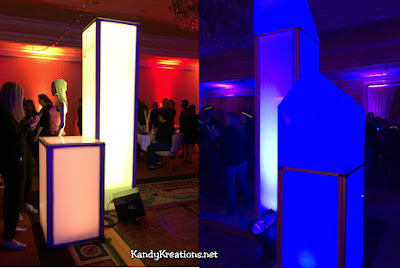 One side of the room was decorated in reds and oranges for the "fire" and the other was in blues and purples for the "ice" with a dance floor in the center. On each side of the room, there were tables that were handing out glow makeup, light up bracelets and rings, glow sticks, and other fun party favors. The photo booth was a door frame with a fun black light showing on it. This allowed the glow in the dark photo props and the glow in the dark makeup to show up really well, making for a super fun photo booth. It was also fun for the pictures in that there were t-shirts that you could purchase from Cents of Style with the theme of the conference "This Girl is on Fire" and the theme of the party in them. So everyone came wearing their shirts or in all black. Even the food got in the glow action, with flashing cubes put inside clear beverage containers. So cool! I think this was my favorite party of the conference. I loved the decorations, the food, and the favors. Which party was your favorite out of the ones I showed this week?